I would like to invite all my fans and art lovers to the inaugural event of the Glasgow Art Fair taking place on April 24-26. 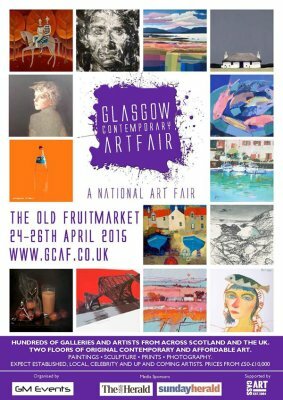 I would like to invite all my fans and art lovers to the inaugural event of the Glasgow Contemporary Art Fair which will take place on April 24-26 in The Old Fruit Market in Glasgow. With thousands of art work from all around Scotland and UK, it is a major event in the art life of the city as well as Scotland in general. If you manage to come on the Preview Night that will take place on Friday, April 24 between 6 p.m.-9 p.m., you will be welcomed by live music and champagne. I will be happy to see you all at my stand number 40 upstairs on the gallery where I will be presenting some new works as well as some earlier ones.